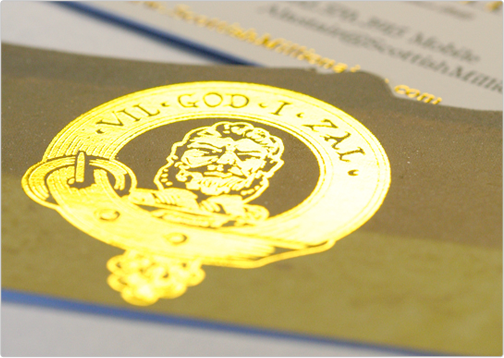 Custom Business Card and Original Logo Design by Taste of Ink Design and Print Studios. 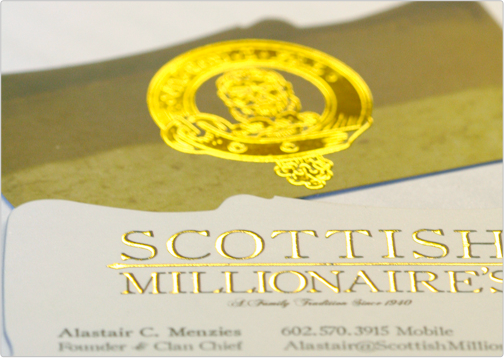 A custom foil stamp was created for the logo and stamped into the cardstock. 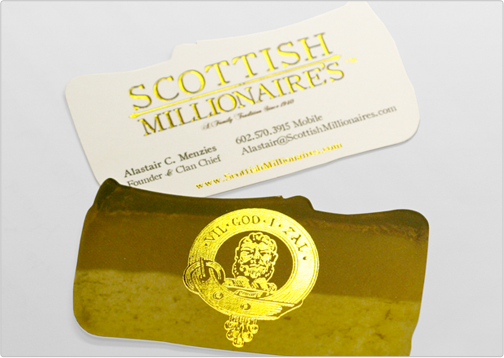 The business card is not only unique already but the shape of the business card is completely custom.